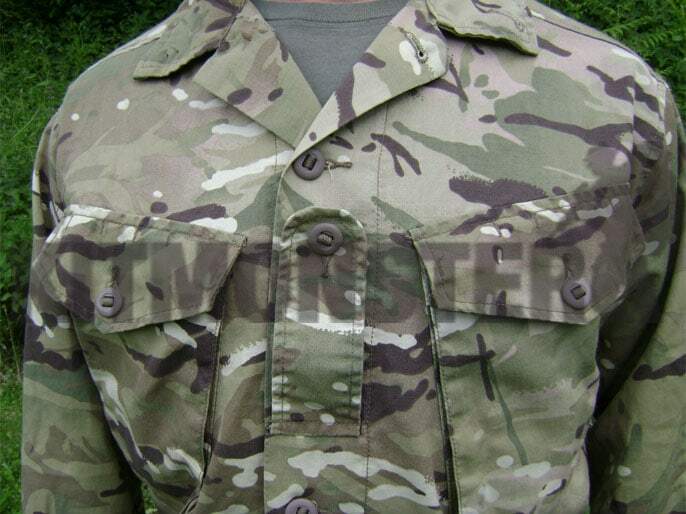 Genuine UK Military issue Soldier 95 pattern shirt in MTP Multi Terrain Pattern camouflage. Classic button up shirt with 2 breast pockets with internal lanyard anchor loops, plain sleeves (no pockets) and slotted buttons, this design does not have a zip behind the buttons. We have a small quantity of these sought after shirts, all in grade one used condition. Some will have badges on, show evidence of previous badges, and or have names written inside. All are sound and fit for use, but may have very minor damage from previous use. 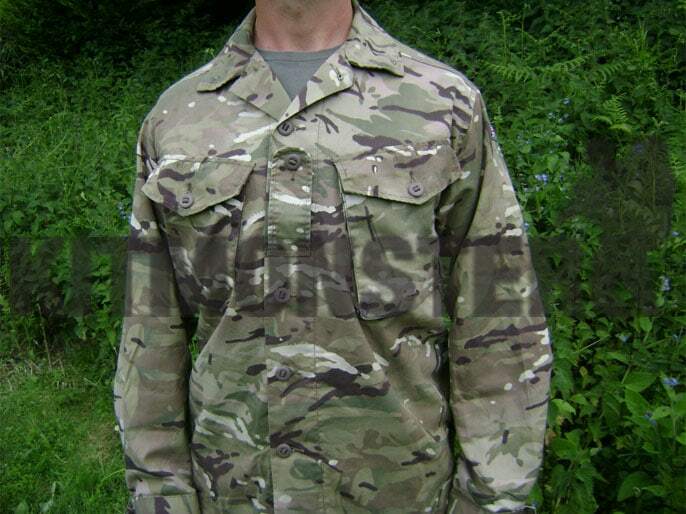 Label reads: 'Jacket, Combat, Tropical, Multi-Terrain Pattern'. Various sizes available, please select your size. All sizes are offered subject to availability.